How We Test Smart Thermostats - Which? 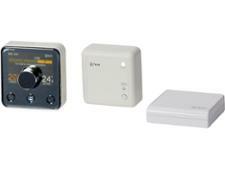 Find out how we test smart thermostats in the Which? lab, and what a smart thermostat has to do well to be rated as a Best Buy. Our tests reveal the very best and worst smart thermostats, based on how easy they are to use, how well they function and the features that they offer. • Is it easy to set up and connect to your wi-fi? • Is it straightforward to adjust settings and program schedules? • Does it have a wide range of features? • How well does it function? • How secure is the connection? • Should I buy it? To see how all the models fared across our tests, go to our full smart thermostat reviews. Is it easy to set up and connect to your wi-fi? Whether you need a professional to install your smart thermostat or whether you can do it yourself, we assess how straightforward the process is and how useful the instructions are. We also connect the devices to wi-fi, penalising devices that require a really long or complicated setup. Is it straightforward to adjust settings and program schedules? Once it’s set up, you want to be sure that your smart thermostat is easy to live with. We judge how easily you can program your schedule through the app, the web portal (if there is one) and the device itself, so you can be sure to have a variety of user-friendly interfaces. Does it have a wide range of features? Some smart thermostats come with a range of features that make life easier, such as a child lock for safeguarding your settings, frost protection to stop your pipes freezing and a handy touchscreen display on the unit. Our reviews run through all the features of each smart thermostat so you can make sure you buy one that meets your needs. You expect your smart thermostat to be accurate, so we put each model through its paces to see exactly how precise it is. 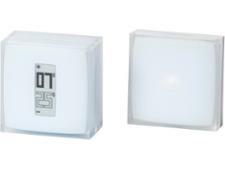 We put smart thermostats in a temperature-controlled chamber, measuring how accurately they record the temperature, and how long it takes for them to trigger the relay after the temperature drops below the selected threshold. Privacy is vitally important with a smart thermostat. Data in the wrong hands could show when you’re likely to be out of the house, leaving your home vulnerable to a robbery. Our thorough tests make sure that each smart thermostat meets the standards we expect for preventing potential data breaches. 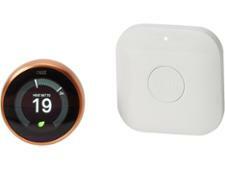 70%The score a smart thermostat needs to earn to be considered a Which? Best Buy. We answer this question by combining our test results into a total test score that tells you how good the smart thermostat is overall. Smart thermostats with a total test score of 70% or above earn our Best Buy recommendation.